Millions of Africans will vote in over a dozen national elections in 2019. One of these is this week’s pivotal presidential election in Nigeria: Africa’s most populous country, a top-ten global oil exporter, and the site of Africa’s largest Islamic State-affiliated insurgency. Nigeria exemplifies some of Africa’s greatest possibilities and most severe challenges. Its political trajectory will have an undeniable impact on the continent and the world. Thankfully, political scientist A. Carl Levan has set out to demystify the country’s complex electoral politics in his timely new book, Contemporary Nigerian Politics: Competition in a Time of Transition and Terror. Levan takes the buzzwords from the international headlines on African elections—corruption, ethnicity, terrorism, vote-rigging—and investigates how Nigerian voters, and by extension other African electorates, value these issues in elections. The fact that Nigeria has only been a democracy since 1999, following years of post-independence military rule, limits Levan’s data set, but his thorough analysis of Nigeria’s last presidential contest in 2015 provides crucial context for this year’s tumultuous election season. Levan argues that Nigerian democracy achieved incremental but notable progress in the 2015 elections. International observers deemed the elections generally free and fair. President Goodluck Jonathan stepped down peacefully after losing, marking the first “turnover” election since the end of military rule. Jonathan’s defeat broke the 16-year grip of the People’s Democratic Party (PDP), turning Nigeria off a path toward the de facto one-party rule of many other African countries. The 2015 elections were a significant improvement over previous elections, especially the 2007 contest that European Union observers described as the worst they had ever seen anywhere in the world. Levan’s most noteworthy contribution is his insightful, if at times dense, empirical analysis of speeches, talking points, and party advertisements from the 2015 election season. This research challenges oft-heard dogmas of African democracies: that voters fearing insecurity elect strongmen, and that narrow identity groups always determine voters’ interests. Levan instead demonstrates that Nigeria’s two main parties, the then-ruling PDP and the challenger All Progressives’ Congress (APC), campaigned on issues other than security and ethnicity. Concerns over electoral integrity and economic performance strongly motivated Nigerian voters in 2015. Levan identifies several policy issues that are increasingly important to Nigerian voters, among them the inclusion of women in party leadership and youth underemployment. Levan’s book argues for a more nuanced and even optimistic understanding of Africa’s largest democracy, but his research also highlights the risks to Nigeria’s democratic development. Ethnicity, while not the sole factor in Nigerian politics, is undeniably important. Ethnic mobilization occurs, sometimes to deadly effect, even if politicians cannot rely exclusively on their ethnic constituencies to carry them to office. Intercommunal violence between farmers and herders in the Middle Belt states is killing more Nigerians than Boko Haram, and local politicians are frequently complicit. Corruption also permeates Nigerian politics. While grassroots campaigns are emerging, politics remain a largely top-down affair in which political elites make backroom deals that trade patronage for constituents’ votes. Levan argues that contemporary Nigerian politics largely developed from pacts brokered by political elites in the 1999 transition from military rule. The legacy of this transition includes de facto impunity for former military leaders and an imperfect system of rotating the presidency between northern and southern candidates. Levan investigates how insurgent violence affects elections, a question that is as relevant for Nigeria in 2019 as in 2015. He shows that, while the Boko Haram insurgency did not alone cause the defeat of then-incumbent President Goodluck Jonathan, voters repudiated Jonathan for his false claims of victory against the group. This does not bode well for this year’s incumbent, the APC’s Muhammadu Buhari, who has repeatedly claimed to have defeated (or better yet, “technically defeated”) Boko Haram just as an Islamic State-aligned faction of the group is overrunning army bases in the northeast. Buhari has also downplayed the seriousness of farmer-herder violence in the Middle Belt, prompting a deluge of criticism and conspiracies based on his ethnic ties to the herders. Nigeria’s electoral integrity may be at greater risk now than in 2015. President Buhari’s decision to replace the head of the Independent National Electoral Commission (INEC) shortly after taking office in 2015 was the first indication of possible trouble in 2019. That INEC chief was critical for gaining the public’s trust in 2015, according to Levan, and many Nigerians are skeptical of INEC’s current leadership. 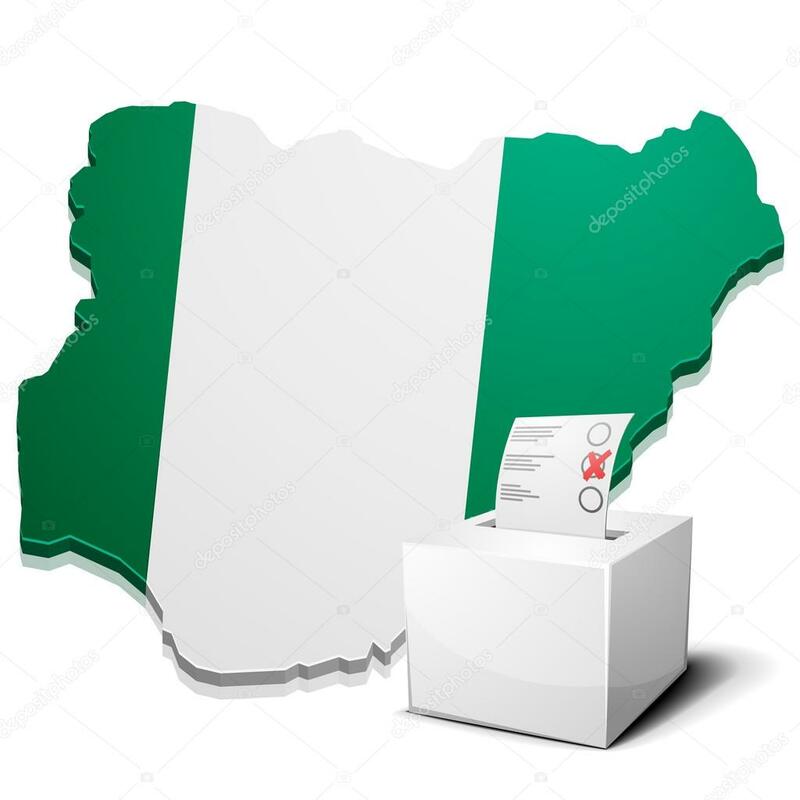 Similarly, Buhari’s recent suspension of the Supreme Court chief has raised accusations of a “judicial coup.” Nigerians are also concerned that INEC is unprepared for the possibility of an unprecedented run-off election, which could spark violence. Buhari would not necessarily be as magnanimous in defeat as Jonathan, who in 2015 declared that his political ambitions were not “worth the blood of any Nigerian.” Buhari ran and lost in the three elections prior to his victory in 2015. He went to court each time over well-founded concerns of electoral irregularities. Buhari is now on the other side of the equation, however, and may not adhere to his litigious precedent. A former military leader who took power in the early 1980s after a coup, Buhari does not face the same restrictions he did as a challenger. Buhari could use his influence over the courts and security services to sabotage the elections or forcefully overturn a PDP victory. Even if Buhari were willing to concede defeat, his political coterie may be more resistant to forfeit influence and wealth. Levan’s specialty is Nigeria, but his research offers insight into electoral politics across the continent. Levan’s analysis of political pacts can help explain the unexpected results of last month’s election in the Democratic Republic of Congo. The election was the first case of an African leader rigging a vote in favor of an opposition candidate. Outgoing President Joseph Kabila, having exhausted all means of extending his term, appears to have brokered a deal with one of his more corrupt challengers in order to maintain his influence and looted wealth. The Congolese election may be a cautionary tale for Nigeria, warning of backsliding if political elites continue to erode norms and institutions, mismanage internal conflict, and pump ill-gotten petrodollars into elections. It also foreshadows how Africa’s most corrupt leaders can develop new strategies to manipulate elections. Africa faces pivotal and potentially destabilizing elections in the near future, making Levan’s call for nuanced analysis of the region’s politics all the more welcome. South Africa, a member of the BRICS and Africa’s second largest economy, will elect a new national assembly and president later this year. Burundi faces a tense election in 2020. Any instability in the country could spark a wider conflict in the volatile Great Lakes region. Many Ethiopians hope that elections in 2020 will cement their new Prime Minister’s reforms, but elections could just as well catalyze further turmoil in an already violent country. The problems that have bedeviled Nigeria’s democratic transition are more severe in Ethiopia. Politicians stoke conflict; the country lacks independent institutions; and its system of ethnic federalism undermines social cohesion. Outside stakeholders should temper their optimism for Ethiopia’s transition and recognize that free elections are rarely a panacea for countries experiencing widespread internal conflict. Levan’s book reminds us that in young democracies elections are unpredictable, complex, and consequential affairs. U.S. policymakers would do well to familiarize themselves with Levan’s arguments as Africa’s strategic and economic significance grows and a wave of democratic backsliding sweeps across much of Africa and the world. For these reasons, all eyes should be on Nigeria this week. James H. Barnett is an analyst with the Critical Threats Project at the American Enterprise Institute, where he specializes in East Africa and the Lake Chad Basin.